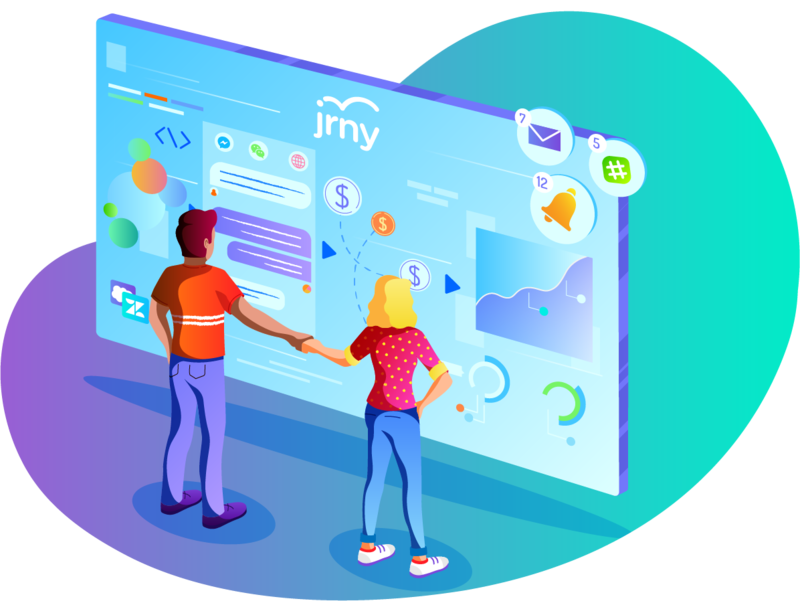 Our Integrations make sure that JRNY tools fit your organisation like a glove. We understand that integrating with your business is crucial for your efficiency. Combine our Digital Assistants, the Dashboard and Integrations, and the JRNY platform is pretty darn powerful! Our integrations are the cherry on top, the glue that ensures the JRNY juice works exactly as it needs to for your organisation. Here's a look at some of our integrations. Receive notifications about certain actions. Where your leads interact with the engines. Accept payments within the conversation. We'd love to talk to you about your specific needs. Check out what you can do within the JRNY Dashboard!